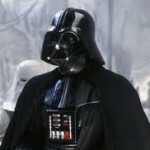 Darth Vader: What Would Beethoven Do? STRESSED? Perhaps to take the edge of mid-terms, take a moment to watch/listen to composer Richard Grayson‘s rather amazing improvisation on the Darth Vader theme from Star Wars, as re-imagined, channeling Beethoven. One commenter imagined Darth Vader, running through a meadow… enjoy! This entry was posted in Uncategorized and tagged Fun on October 28, 2010 by Nick Patterson. A reminder that Greil Marcus will present “Lipstick Traces: Live”, a lecture in form of a performance, this Thursday, 11/19, at 6pm, in Altschul Auditorium, 417 International Affairs Building (SIPA), 420 West 118th Street. The event is free and open to the public, so invite your friends! In Lipstick Traces: A Secret History of the 20th Century, Greil Marcus delved into the cross-currents, tangles, and whirlpools that made such vastly different movements as dada, lettrism, the Situationist International, and punk part of a single current. To mark the just-published 20th-anniversary edition of the book, Columbia University presents Greil Marcus in a one-man performance of Lipstick Traces. A book signing will follow the event. 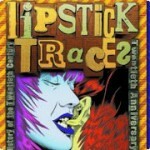 Lipstick Traces: Live is co-sponsored by the Friends of the Columbia Libraries, the ARChive of Contemporary Music, and the Arts Initiative at Columbia University. In addition, the Music & Arts Library at Columbia University will display books by Marcus, books that influenced him, and posters, records, and other materials courtesy of the ARChive of Contemporary Music. The exhibition will be on display from November 1 to December 15, 2009 at The Gabe M. Wiener Music & Arts Library, 7th floor of Dodge Hall, at 2960 Broadway. This entry was posted in Events, Fun and tagged Events, Fun on November 17, 2009 by Nick Patterson. This entry was posted in Fun and tagged Fun on June 12, 2008 by Nick Patterson. Reminder – Music Technology Workshops run through July!